AT&T-owned DirecTV is having some satellite problems, which means that many subscribers can’t access CNN or Fox News normally. Predictably, the right-wing fans of the latter news station’s content aren’t happy. 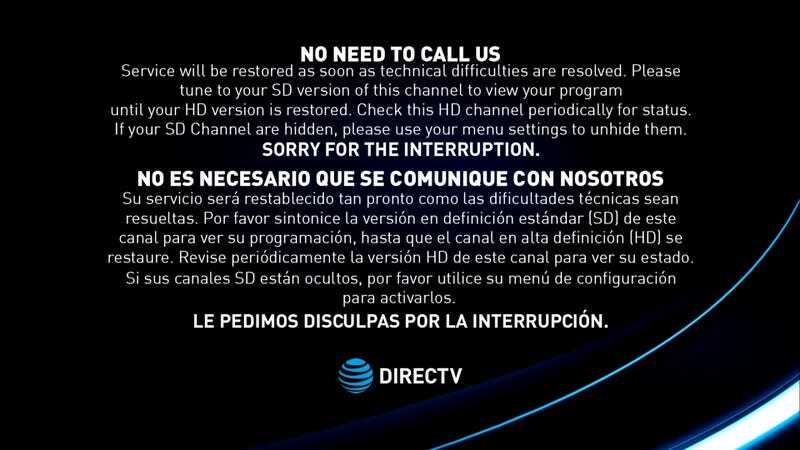 According to DirecTV, eight of its channels are having access problems, but the provider won’t specify a full list of channels are affected. The issues, which appear to have first surfaced on Wednesday, have left irate subscribers scrambling for a way to access the wall-to-wall election coverage permeating the airwaves. Across Twitter and DirecTV’s own forums, users are complaining that this is actually a vast conspiracy designed to harm Donald Trump’s presidential campaighn and the Republican establishment. Now, one would think that if this were really a conspiracy, it would just be Fox News that is down. But CNN is down too! Then again, CNN is home to Trump surrogate Corey Lewandowski, so you never know. Of course, what ruins this whole beautiful thought of a post-October Surprise is the fact that the outage only affects HD channels. If you’re willing to unhide your SD channels, you can watch Fox News and any of the other blacked out channels at ease. For many customers, the issue seems to be one of satellite scrambling. Attempting to access CNN will show the Golf Channel, but accessing the Golf Channel will bring you to CNN. Similarly, Fusion (which like Gizmodo is part of Univision) is currently broadcasting in Fox News’s place. But visiting the channel for Fusion will take you to Fox News. The outage has gone on for nearly 48 hours, and there’s no telling how much longer it’ll last. For now, Republicans will have to find their Donald Trump propaganda elsewhere. With the exception of Fusion and BBC World News, we continued to provide the standard definition (SD) versions of these channels to our customers. We proactively reached out to customers via social and online channels to help ensure that they understood how to view the content. The HD versions of these channels for most customers were back online early this afternoon CT.
We apologize to our customers for the inconvenience. Christina is a senior writer at Gizmodo.